Introduction: This is another story from the world of The Butterfly Dragon that focuses on Bryce Maxwell's senior high school years. Wendy threw the ball and I caught it. I just thought about it like a speeding electron and somehow my body instinctively did the rest. I actually caught the ball. Just like Wendy said I would. Wendy's a Woman in the body of a high school sweetheart. She's a cheerleader though she also plays for the Women's football team. I mean North American Football. European Football is completely another story and I've a few to tell in that arena too, but for now I'll stick closer to home. Toronto, Ontario in the wonderful world of Canada. The rising star of the late sixties and that's when Wendy and I are finally cresting from our adolescence into our adulthood. Wendy is an incredible Woman. She's fearless in a time when it is scorned for Women to be as such. She's intelligent when being as much tends to make Men uncomfortable. She's not afraid of her body in both its incredulous capability and her familiarity with expressing it. She's the perfect product of oppression. The deserved punchline to a joke oft spoken by the arrogance of Men lost in the age of post gender supremacy. She's far beyond the athlete that I could ever hope to be though I'm shaping up to be a strong candidate in the world of science. I pose a challenge to her intellectually but certainly within limits that keep me on my toes, yet she never makes me feel the lesser. Nor the greater. I mean there is no stereotype. We're all inclined in one way or another towards certain things for reasons that lie solely within our being. A place where hopefully nobody finds purchase other than ourselves and those whom we choose to let in. Its that place where we challenge our limits perhaps more so to overcome ourselves rather than some imagined adversary. Thinking upon that, I've often wondered how it must have been for Women, who've often been treated the lesser for their gender. For masculine imagineered limits upon the Female mystique of being. Perhaps very difficult to imagine in the decades beyond 2000 but very present from my youth and time and much to my chagrin. And yet here in the late sixties was the most beautiful specimen of Womankind, unafraid and without limit at my door step, teaching me: a guy of exceptional intelligence and intuition, how to throw a ball. Why? She'd had her heart set upon the Quarterback of the football team. He was frontline scholarship material all the way but she failed to recognize the guy who'd pioneered the Physics Club: a la moi. Parlez vous francais? 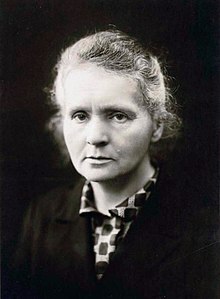 Parlez vous la langue phsyiques if not to honour the Polish-French Physicist Marie Curie? Ok. My French is terrible but much like Madame Curie's contribution to the world of physics, it does get better with time. 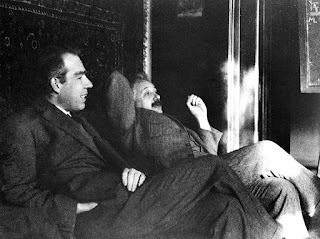 The truth was that I wasn't really much until I'd earned my notoriety by debating the greats of Physics as part of a high school team. 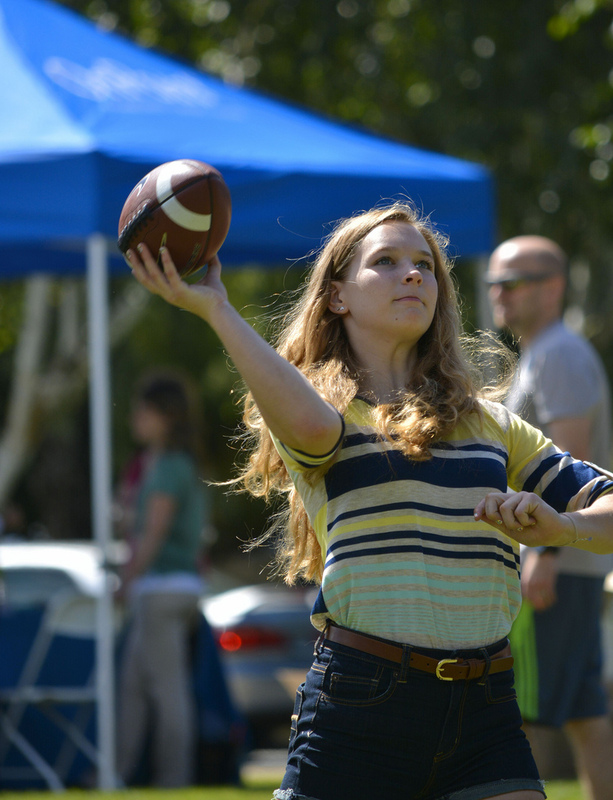 The funny part is that Wendy was helping me more than I'd ever known by teaching me how to catch the ball. The debate was a mock up of that which Einstein and Bohr had faced when competing against each other for their interpretation of the so called wave/particle duality of Quantum Physics. Something I'd so idolized that I'd failed to see that it was something upon which I might have a mortal sway. Should I catch the ball that had been thrown by the Woman who'd recognized that I didn't need to learn how to throw in so much as I'd needed to learn how to catch. When I realized what it was that she'd been trying to show me, it was only then that I'd realized that at least half of humanity's progress had been lost by denying the participation of Women, no matter the involvement of every culture. We all were guilty and some more so than others. Even now. We'd all misrepresented Women. Each and every one. Yet here was this wonderful and beautiful Woman throwing the ball hoping that I'd catch it, hence learning that it was a team effort. Between the oppressed the and the oppressors. It was at that moment in the midst of the delivery of my lecture that I'd realized how wrong we all had been and how fortunate us Males had been. That was when I realized that I'd be Wendy's husband. Here was a Woman who'd been throwing the ball for her Men, for her whole life, yet she'd never had a Man throw a single ball for her. Perhaps that is or was the plight of all Women? To lift Men to heights they'd never fully appreciate and never understanding that we lift each other.